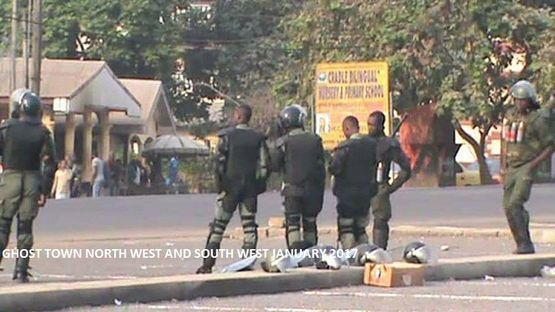 Some of the government officials like the Governors in both English speaking regions, especially that of the South West Region, Okalia Bilai, Minister Philip Ngwesse, the Buea Mayor Patrick Ekema and others who were confident that schools will resume on Monday 9th January, 2017, were disproved and shamed when they found that no one feared their intimidations. The two English Speaking regions of the country defiled all underhand tactics by the government and its political class to force pupils, students and teachers back to school using some local chiefs and a few elites who are privileged in the system. Both educational and social economic activities were grounded as shops and markets, all commercial transport facilities and even private businesses and banks were shut the whole day. Work in some government offices was also affected as staff trekked late to their offices since all township transporters also respected the call to go off the streets. Reports by the state media CRTV also confirmed that the strike action was at least 95% effective as planned by members of the Anglophone Consortium who form the umbrella body of the Anglophone Cameroon struggle since last year. The streets were abandoned to the police, soldiers and some government officials who went parading from one part of the town to the other armed to their teeth looking for the least opportunity to spill blood of innocent Anglophone Cameroonians. 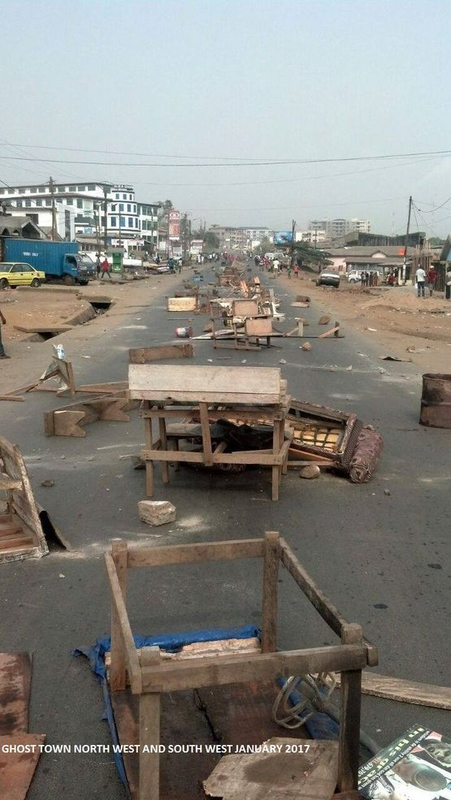 However, some cases of the demonstration that went off hand were reported in Mile 16 (Lower Bolifamba) where some youths were arrested for burning and mounting barricade along the highway. The demonstration that cut across Anglophone Cameroon is a wake-up call to the selfish political elites and government ministers from Anglophone Cameroon who often shortchange members of their communities for their own interests to understand that they no longer have the monopoly of power over these people. The strong statement from south West Chiefs and Fon Angwafor III's reaction to ministers referring them to meet with the teachers and lawyers instead of visiting him are all strong signals coming from the Anglophones to the government that the ongoing struggle is not a “Bamenda” affair as some earlier claimed it to be. 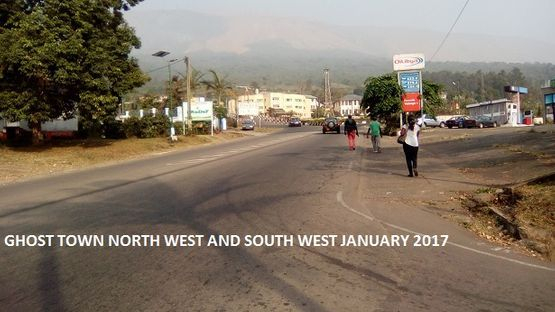 It is an Anglophone affair (NW and SW). There are hopes that after the Monday 9th January, 2017, ghost town and the involvement of the government’s “new ambassador of peace”, Garga Haman Hadji, one time Minister who even resigned from the government, a unanimous solution will be arrived at for both sub systems to function. As it stands, Anglophones want a minimum of federation so that they will control their affairs. They say the destiny of Anglophones have to lie in the hands of Anglophones and not francophones.